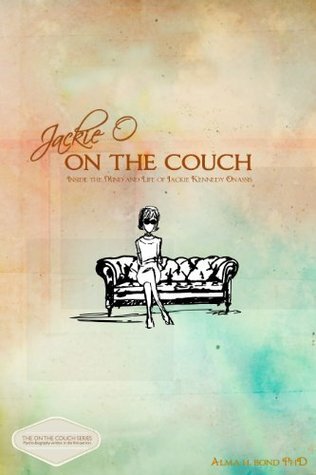 Jackie O: On the Couch is the story of Jackie Kennedy Onassis as she might have written it. This is not just another biography. For the first time, Jackie O: On the Couch highlights Jackie’s life from her own perspective, as imagined by author Dr. Alma Bond, a psychoanalyst and long-time student of Jackie lore. The facts are all historically correct, as are the ideas, the Washington intrigue and politics, and the examination of the role of women in society and in the White House. Jackie speaks of her need to record her story truthfully–to replace the hodgepodge of lies published during her lifetime. Speaking as an older woman, she ponders how her points of view have changed from those she held when she was young. The book delves into her childhood and explores how and why Jackie became the person she was. It also explores the Kennedys, and how John F. Kennedy’s background affected his marriage. Jackie’s deep love for Jack, his early inattentiveness, their difficulties together, his outrageous womanizing, happy times at the White House, and the tragedy of his assassination-all are viewed through Jackie’s eyes. Jackie writes of her need for Aristotle Onassis, debunking the notion that she married him purely for his money, and traces the joyful early years of the marriage through to its dramatic collapse and Ari’s difficult death. A different Jackie emerges into the world of publishing. Her new persona allows her to establish her very best relationship with the stout and adoring Maurice Tempelsman, until non-Hodgkins lymphoma takes her life in 1994, at age 64. Jackie O: On the Couch is a unique exploration of the life and loves of a great historical figure. Jackie Kennedy Onassis deeply prized her privacy and, as a result, she was both revered and mysterious. In this book, much of the mystery is shed as Jackie finally emerges as a fully fleshed-out, three-dimensional person-a true human being, with enormous strengths and shortcomings, who all of us can now understand and appreciate, perhaps for the first time. I have never understood the fascination people have with Jackie Kennedy. Other that she once was our First Lady, I never liked her or found her particularly special. However, I have read books by the same author in the past and I’ve enjoyed them. Her biographical novel, Camille Claude, A Novel, was beautifully crafted and executed. In any case, this is why I decided to give this book a try. Another thing I should point out is that, while the book seems well researched, I’m not an expert on the subject so I have no way of knowing if the facts are correct. This psycho-biography written in first person is part of a series published by Bancroft Press. While I found the book well written and the personal details of Jackie and the people–friends and family–who affected her life interesting and in some cases even fascinating, the voice of Jackie is matter of fact, detached, and even robotic. I’m not sure what the author’s intention was but if she wanted Jackie to come across as a cold, arrogant and totally unlikable character, she succeeded with flying colors. There’s no warmth in the prose, no redeeming quality in Jackie. In fact, she appears in the book even worse than what I had pictured her like. I found myself skimming over whole sections just to get to the ending sooner. But again, people who are familiar with the life of Jackie might be a better judge of character. I really wanted to like this book but couldn’t. If you want to read a great book by this author, I highly recommend Camille Claude, A Novel instead. You know what I hate about writing? Getting stuck. I have all this wonderful stuff in my head. All these great story lines and characters and places I want them to go, and they just refuse to move. They stand there, staring at each other like dummies. Why does your brain do that? Why do you just get overwhelmed and not able to move? On the other hand, I hate it equally as much when there is nothing. Absolutely nothing. Where I just sit there, looking at the last thing I wrote and wondering where the heck I was going with that idea. Those are the times where you just want to delete everything and start over. Don’t do that! Whatever you do, don’t start editing now! Wait until your story is finished. I can’ tell you how many times I have fought the urge to cut out something only to come back days or months later and realize just how much it added! I know when you are stuck there is a big part of you that just want to give up. Get up and take a walk or watch a movie or even check your Facebook. When you are burnt out, taking a break is a good idea. However, sometimes you just need to force yourself to start writing. Starting is always the hardest part. I know it sounds foolish, but sometimes I just start writing stream of consciousness. Things like ‘I don’t want to write today’ and ‘I am so bored’ or ‘This is not going to help’. But it does help. It gets my fingers moving and my brain on the right track. Other times, when I have too much going on, I take the time to write it all down at once; just a splurge of words on the page, disjointed and chaotic. But it helps me to get it out and makes me feel like I can stop remembering everything because it is written down somewhere. This is the same reason I have started carrying a notepad with me everywhere I go. When I get a great idea, I write it down. That way I don’t forget or stress myself out trying to remember until I get home. Even a couple jotted down words can remind you of a whole story line you might have forgotten about. I know I’ve had inspiration form dreams that had I not written it down I would have never remembered even an hour later. Inspiration can hit any time, and so can writer’s block. Getting over writer’s block is sometimes just as simple as writing something, anything. So, the next time you feel stuck and out of ideas, or overwhelmed by them, take a minute to just free write. You may be surprised at how much it really helps. By the way, don’t fret about spelling, grammar, etc. You can always fix it later. If you focus too much on the details, you will lose your flow. Heather Smith is an ex-nanny. Passionate about thought leadership and writing, Heather regularly contributes to various career, social media, public relations, branding, and parenting blogs/websites. She also provides value to summer nanny by giving advice on site design as well as the features and functionality to provide more and more value to nannies and families across the U.S. and Canada. She can be available at H.smith7295 [at] gmail.com. The Nameless Prince is a beautifully-crafted debut YA novel about faith, disillusionment and innocence. Ten-year old Seth Bauman lives in the gang-ravaged streets of Silver Lake. Abandoned by his mother right after his birth, he shares a very dysfunctional and loveless home with his mean Uncle Troy and his uncle’s girlfriend Cheryll. Rather than care for the young boy, Troy and Cheryll spend most of their time on the couch in front of the TV, killing zombies and exploding enemy tanks. Seth’s true escape is in his drawings of dwarves, elves and dragons. Sensitive at heart, Seth wants to understand why Uncle Troy dislikes him so much; at the same time, he feels torn by an intense desire for approval. Though Seth knows that his mother abandoned him, he innocently believes she’s out there somewhere and that one day she’ll show up with an explanation that will make it all make sense. One day, his friend Elena, whom he always walks from school to home, is abducted by a local gang called LAMO—the L.A. Mayan Order. Brave at heart, Seth follows the Boatman of the L.A. River through the underground sewers and metro tunnels underneath Silver Lake, where the LAMO headquarters are located. That’s when the fine lines between fantasy and reality blur. In fact, they grotesquely twist. Suddenly, Seth finds himself in a dark parallel world in turmoil where nothing is what appears to be. He meets Constantine, a faun who refers to Seth as The Nameless Prince, and who believes he is the famous prince of prophesy who’s come to save their world—the Interior—from the Dark Forces. Thus Seth embarks on a journey where he must pass tests and solve riddles in order to discover his true name and reunite with his long lost twin, the King. 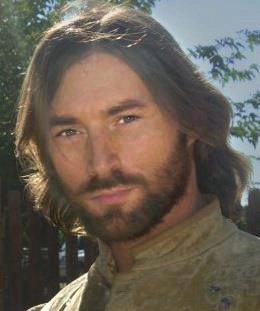 Eventually Seth realizes that he doesn’t need to understand what’s going on, but that he must have faith. If he fails, he could end up in the depths of the labyrinth, torn limb from limb by the bloodthirsty Minotaur. But what is reality and what is fantasy? Is it all really happening or is it in Seth’s mind—a defence mechanism as a result of Elena’s abduction and the recent violence directed towards the homeless? Though Seth is ten years old, I’d say the audience for this book is 12 and up, and that includes adult readers as well. 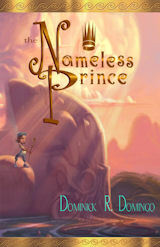 The Nameless Prince isn’t your typical YA fantasy novel published these days. Yes, it is a classic hero’s journey with all the tests and riddles, but it is also a book full of interesting ideas and substance. In short, it is a book that stimulates the mind and intellect. Recommended! My review originally appeared in Blogcritics Magazine. Dealing with a case of writer’s block often feels worse than suffering from the seasonal flu. Fortunately for most of us, we’re able to get through the creative sickness on our own and eventually find our way back over to the creative side of things. Yes, even the greatest writers have trouble finding the right words to say from time to time, but when writer’s block grows into an infectious plague and terrorizes ever word we try to pen, that’s when things get much more serious. How can we work to become successful writers if we can’t find the right words to say? 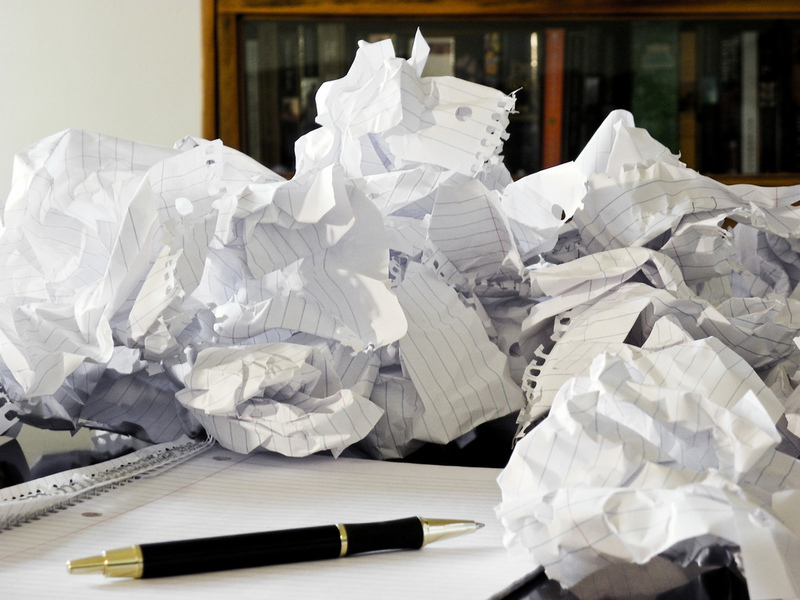 Authors, journalists, and bloggers often suffer from writer’s block. Writing something new each and every day can feel like a tremendous weight to carry, especially when your career depends upon it. When we’re required to be creative all the time, the pressure and anxiety can build up so much that it becomes impossible to bear. So when writer’s block takes hold, what’s a writer to do? Well, the good news is that there are always ways to work and navigate through a nasty case of writer’s block. Sometimes all it takes is a few resources to help make us well again. Whenever you catch a nasty case of writer’s block, here are four reliable medicines you can utilize. Turning towards the inspiring works of art that made you want to become a writer in the first place often brings you back to those initial moments of inspiration you felt about writing. If you’re ever unsure of the right words to say, read through your favorite books and stop on the lines that tug at your creative soul and re-read them over and over again. Believe it or not, you’re planting a seed for creativity by doing this. No, you don’t have to read through every book on your bookshelf to make it work, but reading the authors you admire most will sometimes awaken a creative bone in your body you forgot you had. Whenever we’re uptight and tense, often the best thing to do is walk away from the situation that is causing us stress. No, I’m not saying you should abandon your work entirely, but if you’re absolutely stumped and unsure of the words to say, that’s your brain’s way of signaling to you that you need to give yourself a break. If you aren’t focused on the task at hand, your work is inevitably going to suffer. Taking a short nap is a great way to give your mind a break. For just an hour or so, allow your brain escape, relax, and contemplate the thoughts racing through its pathways. By the time you wake up calm and relaxed, you’ll be able to come up with the right words to say. Being cooped up inside in front of a computer all day isn’t good for nurturing a creative mind. Should you find yourself in the middle of a sentence unable to type one more word, stop what you’re doing, put on a pair of walking shoes, and go outside and behold the world around you. Humans are meant to walk around and experience nature, and some of the greatest writers of our time – including Mark Twain and Henry David Thoreau – wrote about the profound inspirations and influences of nature. Indeed, catching some rays of sun will likely warm your creativity right back up to where it’s supposed to be. When I’m absolutely stumped at a creative crossroads, I’ll call upon fellow writer friends and trusted colleagues to help me out. After reading my work, they’ll sometimes suggest a minor change in the structure, phrasing, or organization of my work, and like magic, I’ll be able to get myself right back on track. Having someone else look over your work helps bring a strong sense of clarity and perspective to your writing, which inevitably helps you navigate right out of that writer’s block. We all feel at a loss for words at some points in our life. As long as it only occurs every once in a while, writer’s block is something we should be able to navigate through with a little time and a lot of patience. Should you find yourself a creative standstill, however, perhaps you should reach for one of these four reliable medicines. Maria Rainer is a freelancer blogger who believes that online learning is at the cutting edge of higher education. In her mind, the online degree path is an ideal one for students who want an education that fits the needs of a web-centric society. Please write her some comments! 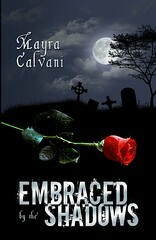 More on the author’s website and find on Amazon . Read my review of the second book in the series, Journey in Time,here. 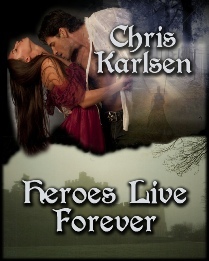 Read also my review of Karslen’s romantic suspense novel, Golden Chariot and don’t miss my interview with the author on The Dark Phantom Review . 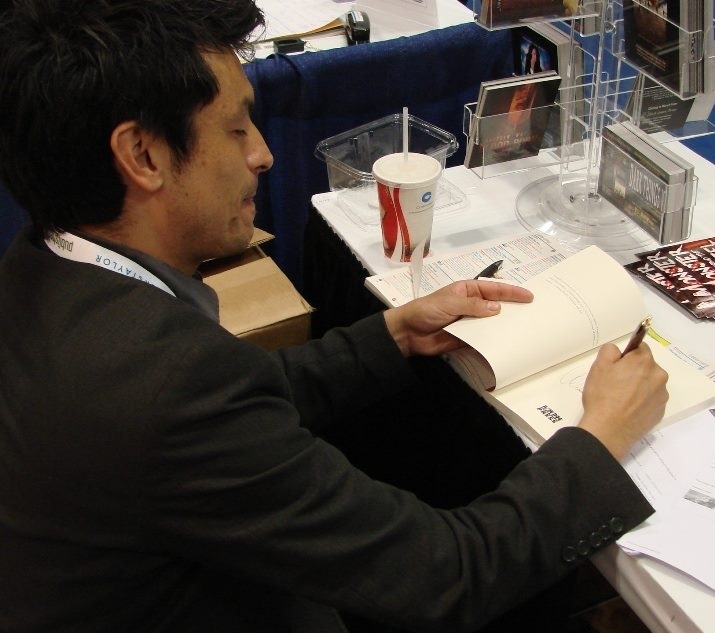 Dominick Domingo is a veteran Animation Artist (Lion King, Pocahontas, Hunchback, Tarzan, Fantasia) who’s illustrated YA books for Penguin, Random House, Lowell House, Disney Publishing, Hyperion Books, and Harcourt. Developing original screenplays as a filmmaker led to a growing writing resume. To capitalize on it, Dominick recently penned a collection of Narrative Nonfictionessays titled “Jesus Shoes,” two of which have been included in anthologies. 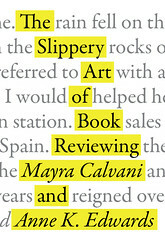 One of the essays, ‘L’Epiphanie,’ was awarded the 2011 Solas award in the humor category for ‘Best Travel Writing.’ The Nameless Prince represents Dominick’s foray into Young Adult urban fantasy. He’d be happy to retire as a full-time author. He lives in the Silver Lake neighborhood of L.A., surrounded by hipsters. Thank you for this interview, Dominick! You’re an illustrator and also a writer. How did both come about? Like many artists/creatives, I have dabbled in various mediums of expression. I took my first oil painting class at seven. I got my first typewriter for Christmas at nine or so. Though I chose to get my degree in Illustration, I continued writing. I graduated Art Center and immediately began working at Disney on films such as Lion King, Pocahontas, Hunchback, Tarzan, and Fantasia, writing for pleasure all the while. I became involved in Middle Grade and Young Adult books as an illustrator by working with all the majors- Putnam, Random House, Lowell House, Harcourt, Penguin. Only after leaving Disney to make my own live-action films, did I stumble into a writing resume by acquiring several ‘original screenplay’ credits for imdb, sag films that found distribution. I decided to capitalize on that momentum and indulge my lifelong love of writing. Around that time, ( perhaps sensing my own mortality ) I began penning a collection of narrative nonfiction essays titled ‘Jesus Shoes.’ One of them won the Solas award for best travel writing in the humor category. 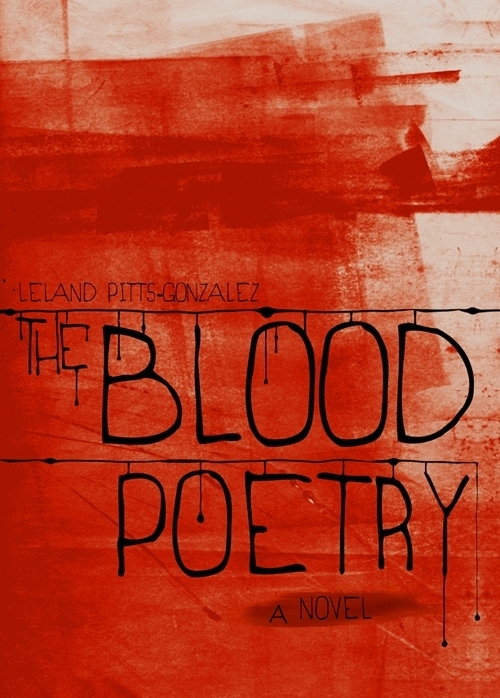 Two were included in anthologies. 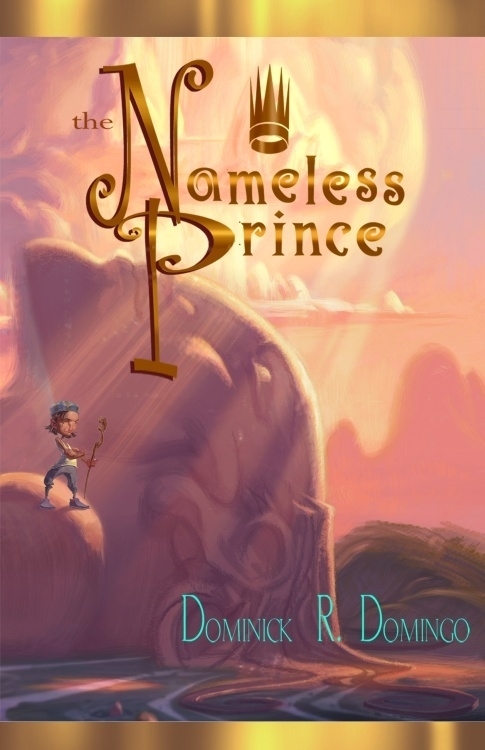 ‘The Nameless Prince’ is my foray into Young Adult. I hope to retire as a writer. MUCH more relaxing to sit in coffee shops pecking away on my laptop than tearing my hair out on the set! The Nameless Prince is an interesting title. How did you come up with it? The novel is basically a parable for overcoming disillusionment and returning to innocence- a classic hero’s journey. When Seth arrives in the alternate realm, Interia, its residents immediately deem him the ‘Nameless Prince’ of prophecy, sent to save them from peril. On an odyssey of riddles and self-discovery Seth must prove himself the true Nameless Prince by symbolically discovering his own name. 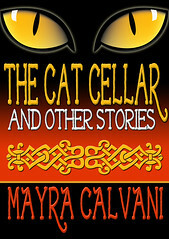 I don’t remember when exactly, but the title of the book created itself sometime while developing the mythology of the Interior. Their sacred text became the ‘Unfinished Story,’ and the savior of prophecy became ‘The Nameless Prince.’ I wanted a poetic simplicity, but more importantly the ring of truth, in the naming conventions. The title is meant to resonate with the undiscovered greatness within all of us. Your novel seems to aim at a wide range of readers, from middle graders to adults. Can you talk a bit about this aspect of your novel? The truth is, I’ve written in many genres. This is my debut novel, and it just happens to be YA. The concept was inspired, and it just demanded certain things, including a protagonist on the cusp of adolescence. I wasn’t thinking necessarily about conforming to the traditions of any one genre, or of marketing limitations with regard to readership. I just wanted to write a good story. I will say, however, that I’d carried a long-standing desire to write a ‘through the rabbit hole’ fairy tale, based on the hero’s journey. I’d always loved stories in which the protagonist (usually a loner) encounters a mythological creature in an unexpected place, and follows it to an alternate realm through some kind of portal. I grew up on C.S. Lewis and J.R.R. Tolkein, among others, and found myself returning to the worlds they created over and over again, as an escape. I like the idea of offering this solace to young readers- a place to go that makes the tough journey of adolescence a bit easier. What themes do you explore in the novel? There are many more- but I am actually more interested in what readers walk away with- what it says to them! I believe the symbology is open to projection and says different things to different people! Are you a disciplined writer? What is a typical day like for you and how do you balance writing and illustrating? It is not an effort for me to be disciplined in my writing; I so enjoy it that I can hardly wait to get back to it. Especially when I am steeped in a world I’ve created or engaged with my characters, which are often like children! And I suppose I am a bit of a workaholic. But the main thing that makes me disciplined in any creative pursuit is my understanding of the creative process and its various stages. I have easy access to my process ( no stringent conditions necessary; it is not ‘fragile’ ) so I can easily relegate my writing or illustrating to 9-5 hours. For those struggling with access to their own process, I recommend studying the various models of creativity and understanding the value of each stage. I’ve been asked what environment I create or seek in order to write. Believe it or not, I prefer the hustle and bustle of coffee houses. Access to caffeinated beverages and humanity if I like. It’s hard for me to roll out of bed and walk across the room to create. I need a change of scenery, to get my blood pumping. And did I mention caffeine? How would you describe your creative process when you write? How would you compare it to illustrating? Believe it or not, they are similar. As alluded to above, the steps in the creative process, the way I understand and experience them, are the same whether one is writing a symphony or building a rocket. It’s about recognizing them. Germinating on a problem to be solved is the same whether that problem is the perfect conceptual image to represent a text in illustrative form, or whether that problem is a story you wish to tell. After germinating, the burst of inspiration is the same and quickly, passionately expressing it as an outline or a layout for an illustration is the same. And then the more methodical execution is the same, whether that means rendering a surface in acrylic paint or fleshing out a scene from an outline. What do you enjoy most, writing or illustrating? I’ve done so much painting in my life, that at this point writing is infinitely more cathartic and enjoyable for me! You have worked with some impressive names in the illustration world. What has been the single most important lesson you’ve learned from these experience? I’m grateful for the understanding of Western Storytelling structure I gained at Disney. The skills I learned with regard to collaborating on creative projects- something not everyone can do! I feel lucky to have been surrounded by not only artists and storytellers I admire, but those with a drive to better the world around them through their craft. Those with a childlike appreciation for magic, and the intellectual curiosity to wish to interpret the world around them and share the results with others! What has been the most rewarding aspect about writing this book? Sharing it! Though the act of writing brought me solace, inner peace and well-being, there is something infinitely rewarding about knowing it landed with people! Touched them or moved them or inspired them somehow! Hearing feedback from loved ones or even complete strangers! What’s on the horizon for Dominick Domingo? As readers will see on the official site, I am developing the graphic novel version of ‘The Nameless Prince’ with two other artists. The concept will be to release each episode in comic book format, premiering a new prolific American Illustrator with each instalment! Also, ‘The Nameless Prince 2’ is half-finished! It was not conceived as a series, but certainly turned out to have been set up for it! My hope is that readers will fall in love with Seth and Elena as I have, and wish to follow them on their journey through adolescence toward adulthood. They are in high school in the sequel! Is there anything else you’d like to say to readers? This interview first appeared in Blogcritics Magazine.